Conshystuff | Paws Up Conshy! I was talking to a friend about dogs and they brought up a dog walking service they use, Paws Up Conshy. I thought it was kind of cool and reached out to Ashley the owner of the business and we got to chat a little and I wanted to share some of it with you. What is the name of your dog walking service? Paws Up Conshy is the name of my dog walking service. Is this just you, or do you have other people that help you or full time employees? I work full time walking dogs and also currently have three employees under me. Each walker gets their own clients/dogs to walk, so it’s not a different person showing up each day to your house to walk your dog. This is important because the dog is able to bond and get comfortable with the walker! What other services do you offer besides walking the dogs? I offer dog walking, pet sitting visits for those who prefer to leave their pet at home when they go away (3 to 5 visits throughout the day and evening), and pet taxi services. Now, where are most of your clients located? Most of my clients are located in Conshy, as well as Whitemarsh, Lafayette Hill, and Plymouth meeting. How do people reach out to you? Those interested can reach out to my cell which is 215 872 8529 or our Paws Up Conshy email which is pawsupconshy@gmail.com. We also have an Instagram (@pawsupconshy) as well as a Facebook page! How did this start for you? I think it’s interesting to mention that I’ve been walking dogs on the side for 10+ years and basically turned a hobby and something that I love into a full time career! 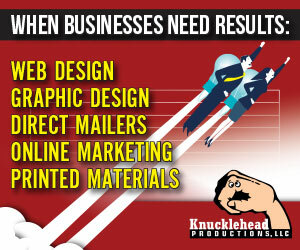 My business has grown almost totally on word of mouth recommendations, so we haven’t had to do much advertising! I’m hoping to grow mainly in the Conshohocken area and surrounding areas. My sister has a dog and it’s interesting how the business side of pets has taken a turn, do you have insurance? Any special skills besides just your love of dogs? I’m fully insured and also certified in pet first aid and cpr. Paws Up Conshy stands out from the other dog walking businesses because we treat each dog as if they were our own. We have quickly become part of the family for many of our clients and we want to keep it that way! After some quick research, we also have the most affordable rates in the area as of right now. I have two of my own dogs: a black lab/Bernese mountain dog mix who is 120lbs and a Cavalier King Charles spaniel who is 25lbs, so I’m very comfortable with dogs of all sizes and breeds!